Keeping your team motivated and engaged is really important if you are striving to maintain a positive workplace. If you’re able to cultivate and develop staff who are happy then the benefits of this will soon start to show! A growth mindset amongst your workplace will really help when it comes to creating the right kind of environment in which individuals can thrive. But how do you go about creating and encouraging that? By weaving in a growth mindset into the every day, you’ll be directly encouraging and supporting your team to adopt this way of thinking. This, in turn, will help them to apply it to their time at work. Make courses and training easily accessible. Having a growth mindset is all about wanting to learn and expand, so what better way to encourage your team to do this than supporting them and helping them learn new skills. Empower them to set their own goals. By handing over this over to your team, you are encouraging them to commit to their own growth. Support the weird and wonderful ideas. Often, individuals can be uncertain about coming forward with ideas because they are worried that they won’t be well received. Stamp out this culture by making it clear that no idea is a bad idea. More often than not, individuals and teams of people are worried to take a chance for fear of failure. As is the case for many companies, figures such as productivity, efficiency, and sales are the focus – with financial bonuses attached. However, when all of these are being so closely monitored, staff are less likely to want to push the boat out and be more experimental. Don’t let this be to your company’s detriment. Focus on learning and improvement-based objectives where appropriate, rather than the end result. This will create a better, healthier balance at work. Show your staff that they matter as an individual and afford them the time to have “regular and frequent feedback” -> “continuous feedback” sessions. How else do you expect them to learn and know that they are on the right track if you don’t tell them? This is crucial to helping your team stay motivated. Even if you, as a business leader, are unable to have continuous feedback sessions with your team as often as you would like, make sure that your staff understands how important their development is to you. If you have specialists in your company, give them time to give continuous feedback to others. This will help to take the pressure off your time too. There are many who thrive in a competitive environment. But that most certainly isn’t always the case and, when so much of our days are spent at work, too much competition can be a bad thing. A growth mindset is about self-motivation. To work, a growth mindset needs to come from the individual and their own want to learn and improve. Many companies, whether realizing it or not, rank their staff from lowest to highest performing. This doesn’t take into account personal development and individual learning curves. If praise and rewards are only handed out to those who “do the best”, this puts off those that are trying and improving. If you want to encourage a growth mindset, make sure you put in place the right structure internally for individuals to work towards. Everyone, no matter what their job title, can adopt and benefit from a growth mindset. We can all learn more and improve our skills, especially in areas that don’t come so naturally to us. If you are keen to encourage a growth mindset in your company, show your staff that you are also on board with this. Instead of backing away from a task that you struggle with, try having a go. Or, speak to a team member who is better at that kind of thing and learn from them, don’t just ask them to do it for you! 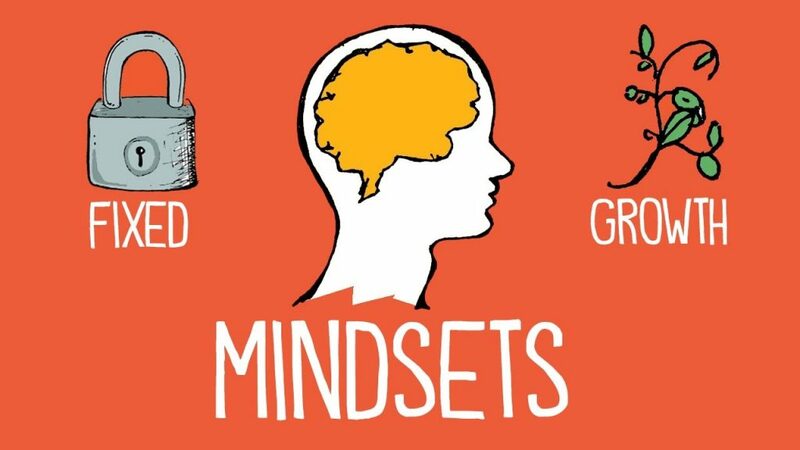 A growth mindset is beneficial for everyone and can build a more productive and positive working environment. By focusing on and encouraging self-improvement, you’ll soon find that the company improves as a whole. Andrew Margison, founder and director of ZZap Ltd, is an international supplier of banknote counters listed amongst the top 10 businesses in London for the Lloyds TSB Enterprise Awards. Andrew holds a 1st Class Honours Degree in Business Studies and regularly contributes to various business publications.